The Net-Ready Key Performance Parameter (NR-KPP) assesses the net-ready attributes required for both the technical exchange of information and the end-to-end operational effectiveness of that exchange. It evaluates information needs, information timeliness, Information Assurance (IA), and net-ready attributes. It’s rquirements are summarized in the NR-KPP Checklist. The NR-KPP consists of verifiable performance measures and associated metrics required to evaluate the timely, accurate, and complete exchange and use of information to satisfy information needs for a given capability. The NR-KPP are documented in Capability Development Documents (CDD) and Capability Production Documents (CPD). They will be used to analyze, identify, and describe IT (including NSS) interoperability needs in the Information Support Plan and in the test strategies in the Test and Evaluation Master Plan (TEMP). These are the products related to the three architectural views (operational, systems, and technical) that are compliant with the DoD Architecture Framework version 2.0. The GTG is an evolving web enabled capability providing the technical guidance necessary for an interoperable and supportable GIG built on Net-Centric principles. The GTG provides a one-stop, authoritative, configuration managed source of technical compliance guidance that synchronizes previously separate efforts. Key Interface Profiles (KIP) – systems need to conform to various KIPS based on desired functionality so they can interface properly with the GIG. The KIP is the technical specification that governs access to the GIG. Information Assurance (IA) Accreditation is about protecting our access and information, to include restoration of information, if necessary. IAW DoD Instruction 8580.1, each DoD information system is required to have an Information Assurance Manager (IAM) and must implement DoD Information Assurance Certification and Accreditation Program (DIACAP), which is governed by DoD Instruction 5200.40, DoD Information Technology Security and Certification Program. Compliance with Supportability elements to include Spectrum Analysis, Selective Availability Anti-Spoofing Module, and the Joint Tactical Radio System. DoD IA requirements, including IA certification and accreditation, are specified in DoD Directive 8500.01, DoD Instruction 8500.2, DoD Directive 8581.1, and DoD Instruction 8510.01. Satisfaction of these requirements results in system accreditation and the issuance of an authorization to operate. 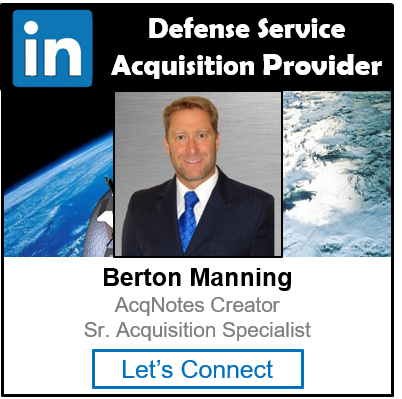 See Defense Acquisition Guide (DAG) Chapter 7.5 for details. Within a Joint Task Force/combatant command area of responsibility (AOR). Across combatant command AOR boundaries. Between strategic and tactical systems. Within and across Services and agencies. Among US, Allied, and Coalition forces.